Iʼve got this thing that I really like to observe the actions of people who have achieved some kind of (in my opinion impressive) success. I try to incorporate their different habits that help me improve myself and my productivity. Many people I observe and admire, mentioned that they try to watch as many TED talks as possible — sometimes even one a day. I started to do the same, wanting to see how it will affect my productivity and perception of the world. I delved more and more into the story of TED and its ideas. 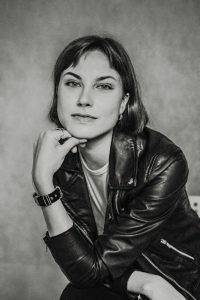 I quickly found out that this is exactly what I love and highly value: the best quality knowledge spread to everyone for free and without any restrictions. I felt that I want to create this system. 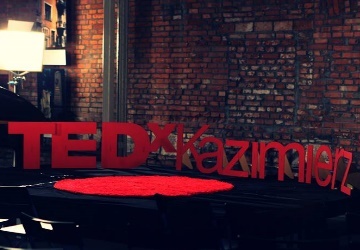 At that time I didnʼt know about the existence of TEDx yet, but my search led me to TEDxKazimierz. I came to a volunteersʼ meeting, and coming to the next one I was already a member of the “core team” :). Why do you love TED and TEDx? I think that I have already answered this question in part above. I love TED and TEDx for giving everyone unlimited access to high quality knowledge, I love that this project is open to everyone, it doesnʼt discriminate, doesnʼt divide, but connects all people in the world into an incredibly talented, intelligent team that has a constant hunger for knowledge and action – and TED allows it to be satisfied. What impact would you like to make as TEDx member? I never thought that I would like to influence people in any way. Being in TED, I simply do what I love, with people I love. It makes me happy in the purest form. All of our events, of course, are created in the spirit of TED, that is, “to spread ideas worth spreading.” I think, however, that this “spreading” takes place in a very natural way – we reach people who have a similar approach to live as we do, they reach further, to their friends and acquaintances. In this way, we create a community with which we can share our passion. Why did you decide to organize your own TEDxKazimierz Salon? What would you like to achieve for other people, but also for yourself after this event?